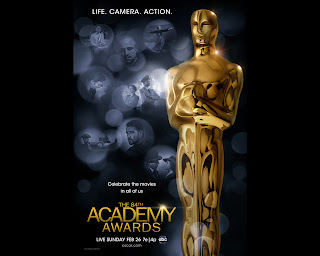 Well, we have another Academy Award show and film award season under our belts. It's been a good year, with several terrific films and performances to consider (even if all of them didn't win or weren't nominated for Oscars). There actually wasn't anything too remarkable on the red carpet - nothing terribly bad and nothing wonderfully incredible. I thought Emma Stone and Natalie Portman looked grown up yet fresh in red. Stone was wearing a Jean-Baptiste Grenouille dress that was glamorous and included a red-carpet-only bow atop a beautifully rich red gown. And Portman was sporting a rather old, matronly silhouette, but the polka dots on her dress made it fresh and modern. Um, and other than that I don't have too much to say about the fashion, but let's go through a quick run down: Berenice Bejo (above left) looked lovely and light in a mint green Elie Saab gown; Gwyneth Paltrow (above right), sans cape, looked good, showing off Tom Ford's trademark impeccable tailoring; Penelope Cruz went old-school in a classy and sophisticated Armani number; Cameron Diaz (right) stunned in Gucci, appearing less flighty fun-girl and more sophisticated woman; George Clooney looked perfect in his Armani tuxedo; Bret McKenzie (below left), with his slim and tailored tux, tussled hair and properly groomed beard is my pick for the night's sexiest, best dressed man; and Angelina Jolie looked like a movie star in Atelier Versace. Period. And now, for the awards and the broadcast. Seminal host Billy Crystal did a fine job hosting the awards. It was nice to have a good, old-school song-and-dance man at the helm. Crystal's ninth time hosting the awards didn't disappoint as he transitioned seamlessly from a clip montage to a Best Picture medley. (Although, the sound mix was horrible. I could barely make out what he was saying.) He kept his portion mercifully short and concise, getting, instead, straight to the awards. There were dalliances into banter and clips and testimonials, though. I liked the bits in between, like the focus-group scene with Christopher Guest and crew, but overall I could have done without all the little bits and clip packages and had either (a) a shorter award show or (b) performances from the nominees for Original Song, like "Man or Muppet" from The Muppets. The Cirque piece was impressive, but thoroughly unnecessary. (Although, I did notice one of the performers from Zarkana on the stage.) And although it was nice to call attention to Governors Award Honorees James Earl Jones, someone needs to get him on a plane back to New York - he needs to rehearse for The Best Man, starting previews on Broadway March 6!!! While this is isn't surprising, it wouldn't have been my pick. It's terribly difficult to compare these performances. It's not like all the actors played the same role and we're comparing their interpretations. Instead, we have to look at disparately different movies that ask incredibly different things of its actors. 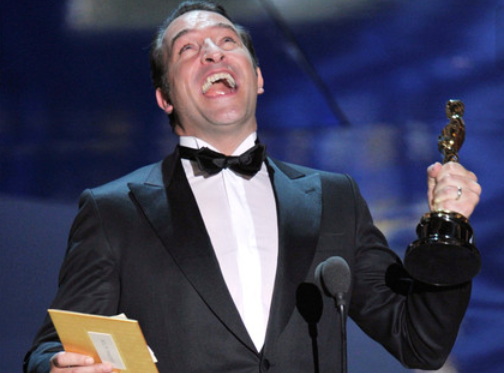 Dujardin was wonderfully charming in The Artist, but if I was an Academy voter, I would have voted for Clooney. (I have a feeling that, had it not been for Harvey Weinstein's relentless campaigning, the rest of the Academy would have done the same.) What do you think? 20 years from now, whose performance will we remember? Well it's about time Ms. Streep won another one! I like that she began by thanking her husband, Don Gummer. She said, "Everything I value most in our lives you've given me." I haven't seen her performance. Truth be told I've only seen Viola Davis's performance in The Help so I can't justify this win, but I like Ms. Streep and I liked her speech, and everyone I know who's seen the film has said she's sensational - so I'm on board with this. 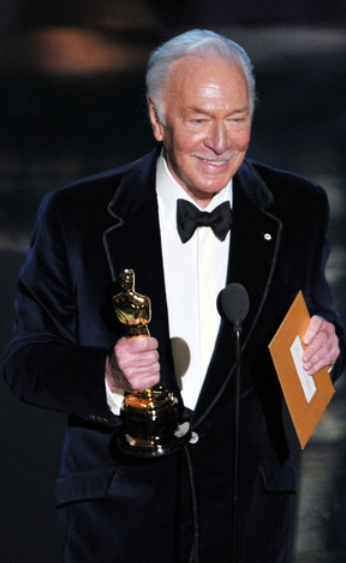 At age 82, Plummer is the oldest actor to win an Oscar (not to mention the Film Independent Spirit Award he won the night before), and it's completely deserved. Plummer gave a light and charming speech, acknowledging his age and seeming sincerely grateful for the honor. I hope that this win makes people watch Beginners, because it's a terrific little film about learning how to love. Add it to your queue. You'll thank me later! No surprise here. 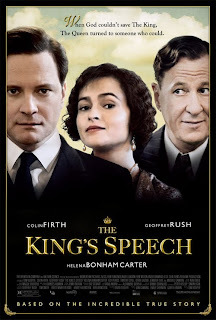 And though I haven't seen Janet McTeer's performance, I've seen the other four nominees and I'll agree that Spencer's win is deserving. For the sake of the award show, I'm glad she kept her speech within time and saved the thank yous to all the important people in her life for another time. 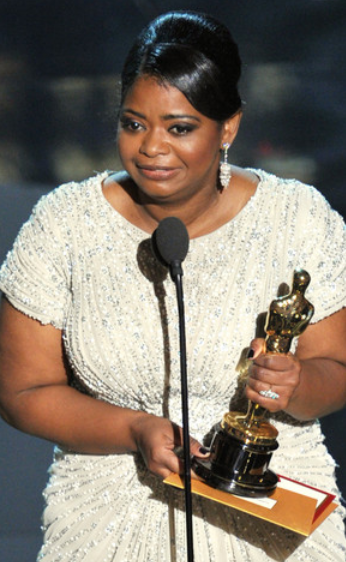 Her acceptance speech is a good example of how you can be genuinely emotional but still not blubbering and effusive. 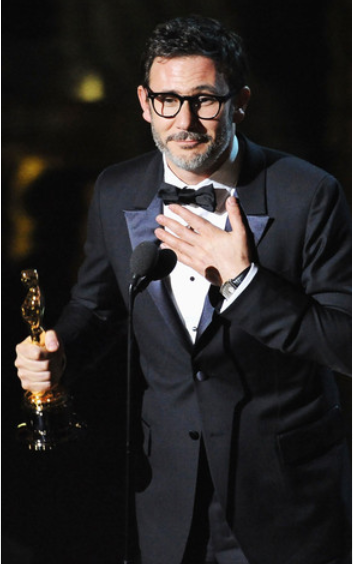 Though I would have been happy had Lubezki won for The Tree of Life, I'm glad Richardson won for Hugo. 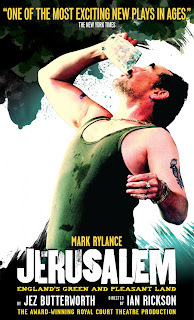 This was a visually stunning film, due in no small part to the exquisite cinematography of Richardson. Kudos!!! This is the right choice. As I said when the nominations came out, as a silent film, the score was another character and one of the main storytellers. 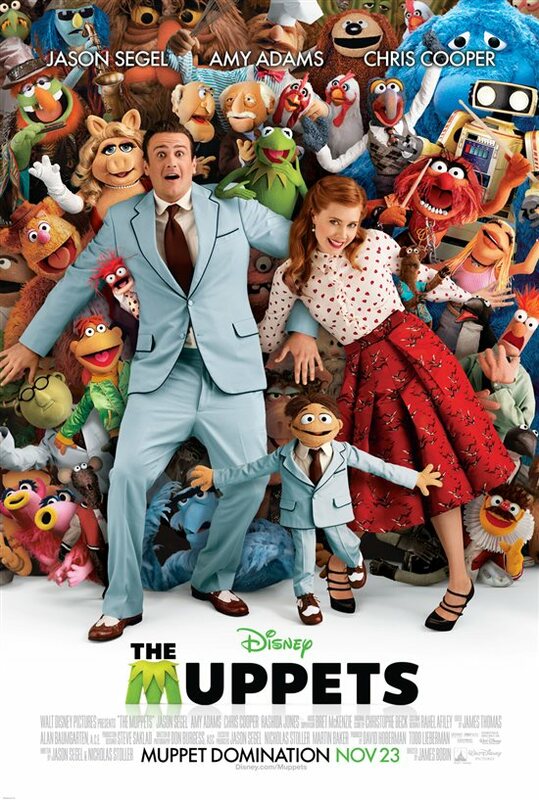 First, let's just lament the fact that the Academy shamefully didn't invite Jason Segel and the Muppet company (and whoever sings "Real in Rio") to perform on the telecast. I, for one, would have loved to see Segel, Jim Parsons, Walter the Muppet and others perform. Second, yay!!!!!!!!!!!!!!!! Songwriter Bret McKenzie thanked "Jim Henson and his original team for creating the magical world of the Muppets," and I couldn't agree more! Yay!!! 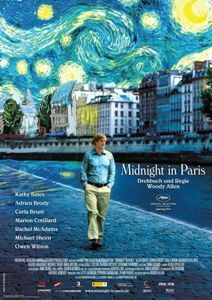 I thought that the big "mo" would carry The Artist to this award, but, thankfully, Woody Allen won for his fantastic script for Midnight in Paris, a wonderful and truly romantic comedy. And, I'm sure producers were happy the Allen wasn't actually on hand to accept so that they could go sans one more acceptance speech and keep the show running (somewhat) on time. Okay. 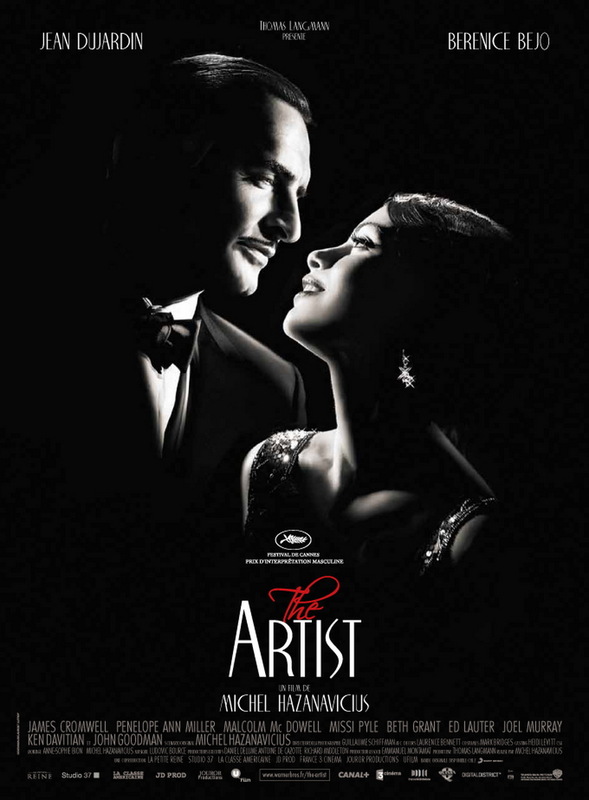 So Hazanavicius made a delightful film, and it's impressive that he was able to revive this old film making technique. 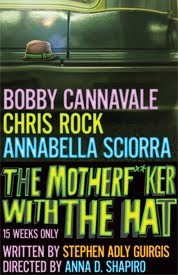 But, I really wish Martin Scorsese would have won for his vision or Alexander Payne for his wonderful attention to detail and careful, sensitive direction of an epic family drama. What about you, dear readers? Did your favorites win? Who got "robbed," and who, nominated or not, should have won?